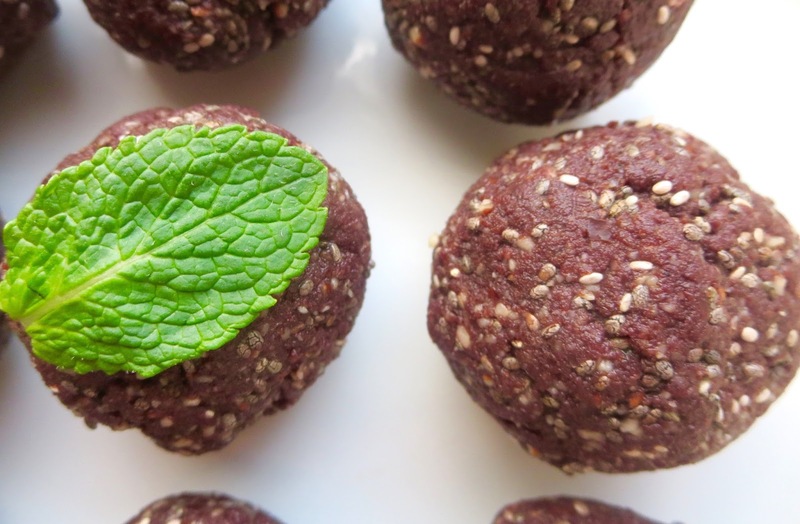 Energy balls are my favourite quick snack to make. The take hardly any time to throw together, don't leave you with a heap load of washing up and they taste so sweet and delicious. Not to mention how energised and satisfied you feel after eating one, hence the name! 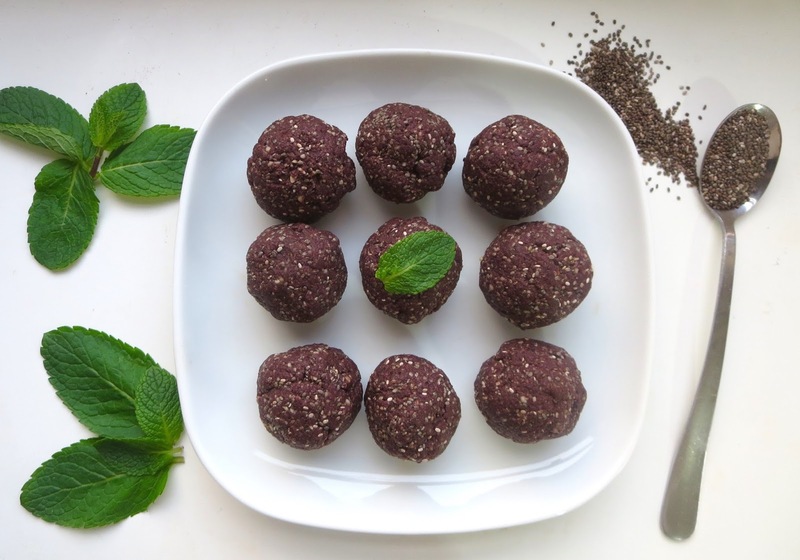 I love to create different flavour combinations for energy balls and recently I came up with a cacao, chia and mint combination which is totally dreamy! 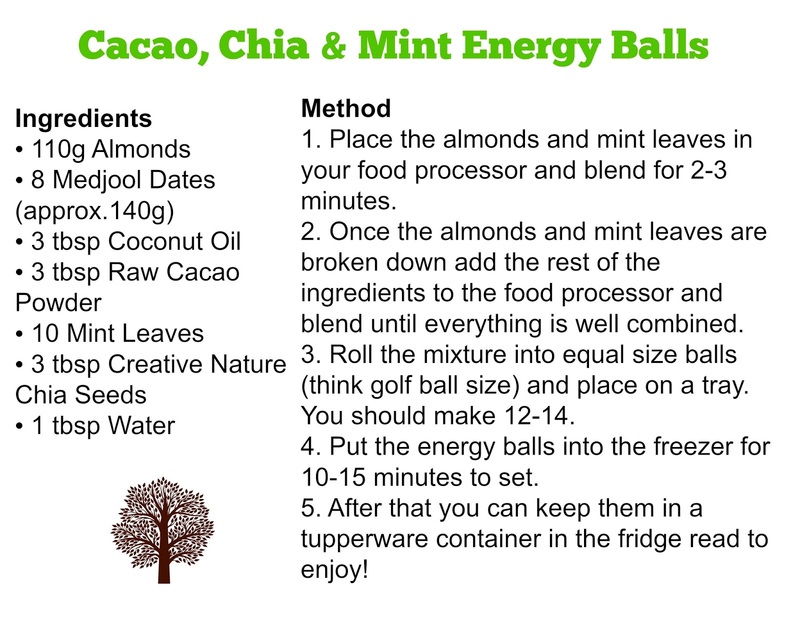 These cacao, chia and mint energy balls taste like little drops of heaven. The indulgent taste of chocolate and mint is a perfect match while the chia seeds add that welcome bit of added texture and goodness. The taste of these energy balls is undeniably delicious but they're also bursting with so much goodness. Cacao is the unprocessed cocoa bean which contains a wealth of antioxidant power, in fact it contains 300 different compounds and has more than 20 times more antioxidant power of blueberries. Cacao is also high in protein, calcium and magnesium. The blend of all these amazing elements make it a true superfood! The balls also contain one of my favourite superfoods chia seeds - these seeds may be small but they're a real health powerhouse. Chia seeds were used by the Aztecs and Mayans to fuel their active lifestyles, they're also known to contribute to maintaining a normal cholesterol level, healthy bones & teeth and support muscle function. They're incredibly rich in omega-3, protein and fibre and keep you feeling full for a long time too. I get my chia seeds from Creative Nature as the price is brilliant and I know they're completely raw, cruelty free and gluten free. You can get 10% off these chia seeds, as well as any Creative Nature superfood, using my discount AMELIA10 at the checkout, just click here.